Don’t walk on the Leever’s territory or they will attack you without any hesitation! 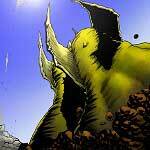 “The Zeldapedia / Zelda-wiki describes Leevers as cactus-like monsters, which live in sandy ecosystems. Looking at screenshots, I went for the desert setting, and used a red cactus as reference to texture the Leever’s skin. I interpreted the yellow dots as golden nuggets, and the light blue ones on the blue Leever, as blue opal. My theory behind this is that folks that wander the desert, will see what they think is precious treasure. Because of their greed, they fall victim to the Leevers. Dead animal bones are often depicted in desert settings, so I found an ivory texture to fit well for the “teeth”. Leevers come out of the ground and twist around, which for me, was the most interesting feature to work with. I really tried to get some motion into the twirling sand. 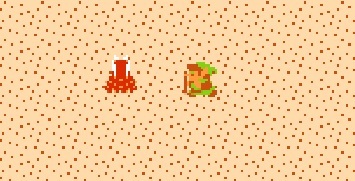 The desert mountains got an update, and the dotted sand from the original game, actually got two updates. I speckled the sand with red shiny speckles to “mimic” the original texture. On top of that, looking at the size of those dots in-game, they might as well be small pieces of rock. Therefore, I’ve put those in as well. Doing updates from classic sprites like this give you a great deal of creative freedom, which is fantastic. I like to think I stayed true to the original design, while also re-imagining it a bit. Patrick Robben an artist from the Netherlands and also known as Pandarah draws video game charactes like the Leever from the classic Legend of Zelda with a big passion that can be seen in the many details and thoughts he puts into them. He joined the Game-Art-HQ community with an amazing take on Medli for one of our community projects where Artists could choose basically between every game character that was not drawn for this collaborationb efore, later he joined Link’s Blacklist with the Leever seen above but also participated with multiple submissions for our big Pokemon Generations Fan Art Tribute. I strongly recommend to have a look at his other works as well which you can see in his deviantART gallery here! 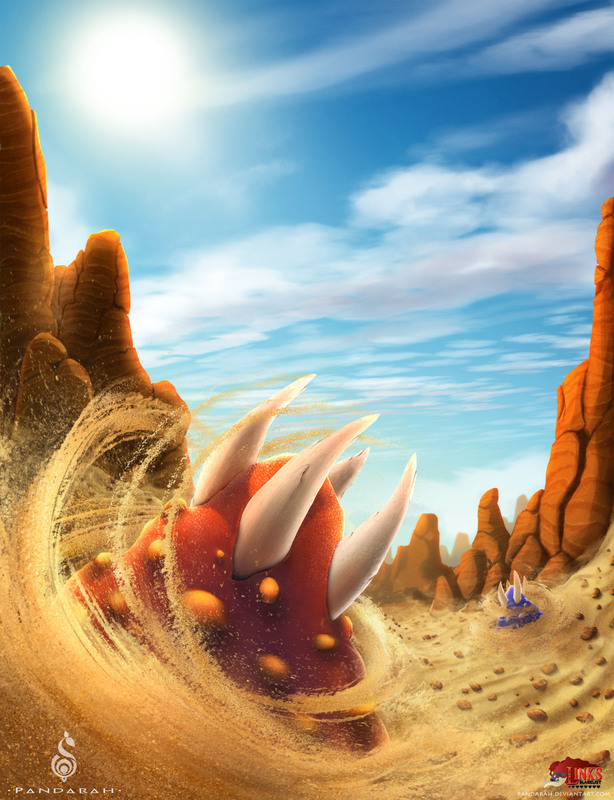 The Leever is a strange creature that dwells through the sand and might see Link as an intruder in their territory. They will hunt him down as soon as they detect his moves, but a few hits with the Sword are enough to defeat them, they are usually not a big threat. 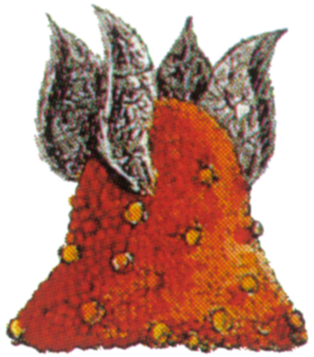 Leevers became recurring enemies in the Legend of Zelda games, and returned in almost all of the handheld Zelda games as well as in some of the 3d ones like Ocarina of Time and Twilight Princess.